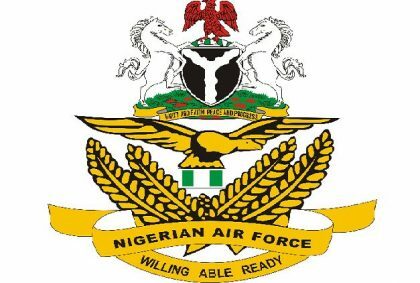 The Nigerian Air Force (NAF) has redeployed a total of 52 senior officers comprising 16 Air Vice Marshals (AVM), 16 Air Commodores, 9 Group Captains, 7 Wing Commanders and 4 Squadron Leaders. Air Vice Marshal O.A Adesanya, Director of Public Relations & Information Nigerian Air Force, made this known in a press release on Thursday. Prominent among those affected by the deployment are 4 Branch Chiefs at the Headquarters Nigerian Air Force (HQ NAF) and one Air Officer Commanding. Also redeployed are other key appointment holders in the Service as part of a routine exercise aimed at further enhancing operational effectiveness and administrative efficiency. The newly appointed Branch Chiefs include AVM Charles Otegbade, who was the Director of Plans at HQ NAF and is now the Chief of Communications and Information Systems (CCIS). In addition, AVM Kingsley Lar, who was the Chief of Standards and Evaluation (COSE), is now the Chief of Administration (COA). Others affected by the redeployment include AVM John Baba, the former Commandant, Air Force War College (AFWC), Makurdi, who is now the COSE as well as AVM Ibrahim Yahaya, the former COA, now the Chief of Logistics (CLOG). Also redeployed are AVM Napoleon Bali, who was the Director of Operations at the HQ NAF, and now the Air Officer Commanding Mobility Command, Yenagoa, Bayelsa State and AVM Charles Oghomwen, who is now the Commandant, AFWC, Makurdi. Others include AVM AS Liman, who is now the Commandant Armed Forces Resettlement Centre (AFRC), Lagos, Air Commodore BB Okunola, now the Pioneer Commandant, NAF School of Medical Sciences and Aviation Medicine, Kaduna as well as Air Commodore James Gwani, who has been appointed as the Commander Air Task Force (ATF) Operation LAFIYA DOLE.